Remember those old rules of fashion? The ones that told you what you were "never" supposed to do with your clothes and accessories? Well, you can breathe a sigh of relief: they just don't apply anymore. These days, the only limits are the ones that suit each customer's personal style--whether they're wearing brightly colored gemstones with their wedding whites or loads of Swarovski crystals at the office. And decisions regarding jewelry and other accessories are based more on what your customers are wearing instead of when they're wearing it. Sure, back in the old days, having a full set of gold jewelry and a full set of silver jewelry showed how oh-so-very rich you were. If you wanted to look like the top 1% back in the Vanderbilt days, you followed the Vanderbilt rules. These days? Fuhgeddaboudit! 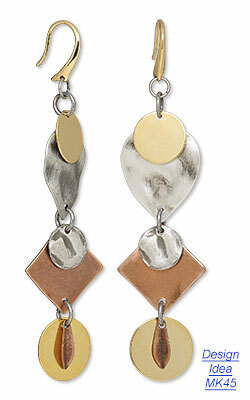 Metallics of all kinds are neutrals, whether your customer prefers shining gold, antiqued copper or gleaming gunmetal. Mixing metals is an immensely popular trend that shows no sign of slowing down, either. Your customers can wear jewelry combining multiple metals (such as design idea D42V)--or wear individual pieces in different metallics (such as gold shoes and a silver cuff bracelet). Help your customers make the look intentional by using a 2:1 or 3:2 ratio of metallic finishes: two golds to a silver, three silvers to a bronze, etc. Of course, individuals may prefer one type of metallic finish over another, or specific shades may not look good with their coloring--and that's all right, too. Just know that you and your customers aren't boxed into single-metal looks. Seriously? Leather's the all-season radial tires of the fashion industry. Just because it's summertime doesn't mean your stylish customer is stuck with a smaller selection of component materials. 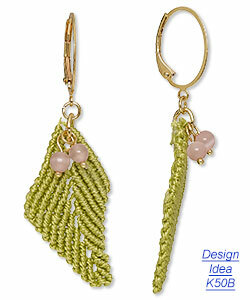 Sure, shells and fiber are popular materials for warm weather jewelry like design ideas B887 and C31V. The reason is that summer styles tend to be more casual, so the materials are different. But if your customers still need that business look, you can help them create a professional style that is appropriate while still showing that little bit of fun. If they're shopping for more casual outfits like jeans and a shirt, then you've got an opportunity to direct them to organic materials such as shell, wood, horn, etc., as well as tangled strand styles and nature motifs like birds or leaves (design ideas C32A and C52Y). How you use the materials is more important than what they are. 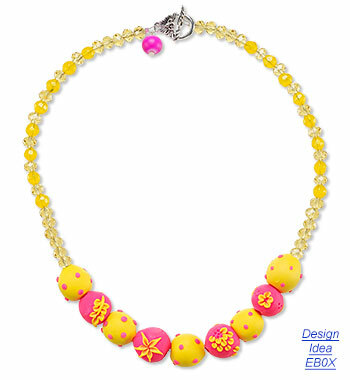 Just look at design idea E501--an adorable honeycomb jewelry set--to see how leather and metal look summery just fine. If anybody tries to tell you that one again, blind them with your Swarovski jewelry! This rule is as out-of-date as an expired library card. Your customers are free to wear jewelry covered in sequins, fire polish or Swarovski fancy stones at any time of day or night. The guidelines you can use to help your customers choose appropriate jewelry for their personal style or business dress? It's more about the clothes they're wearing than the time of day. Plenty of business attire is monochromatic, or a single color, with black being the most popular shade. That's the perfect background for a dramatic necklace like design ideas C312 and C32H (or intense colors like the neons in E325). Make sure it doesn't plunge deeply into the décolletage and your customer is set to make a dramatic--yet professional--entrance. Who decided that one? Nudists? Well, actually, we know it was Coco Chanel. And that style really worked for her. However, it doesn't work for everyone--and it may not work for the jewelry you create! The nice thing is, you don't have to follow this rule. If you've created this incredible jewelry set that needs to be worn together and it looks great on your customers, let them know they're supposed to wear the whole shebang. 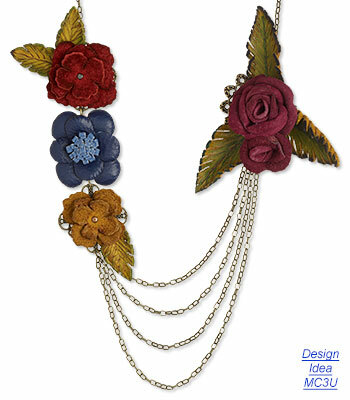 If you're one of those people who love the look of mixed media designs with multiple chains (like design ideas D82U and C86Q), then wear what you love. Jewelry should add to your customer's overall look, so let the cut of their clothing help you guide them to the lengths and styles which suit them. For example, V-neck and deep scoop necklines just beg for statement necklaces. If they're wearing a turtleneck or other high collar, then super-long designs are a great option. Is your customer shopping for a more formal event, where she'll wear her hair up? 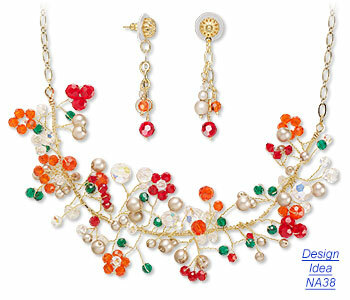 Then you have a great opportunity to offer her dazzling chandelier and drop earrings. We may have to blame this one on the chocolate growers. Really, who profits the most when millions of women are uncomfortable? 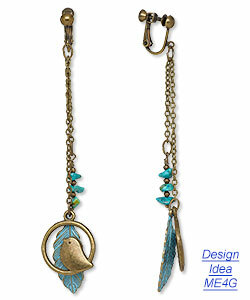 Do chandelier earrings just feel too heavy to your customers? Then, by all means, direct them to other earring styles. No matter what you coat it with, copper still makes your best customer's skin turn green? Try using "red bronze," which includes a blend of de-oxidizers which prevent the green verdigris from forming, or rose gold to get the warm color tones she likes without the reaction she doesn't. Most importantly, don't wear and don't try to talk your customers into wearing jewelry that they're not enjoying. After all, the most attractive qualities in the world are happiness and confidence. What better advertisement could your jewelry have than happy, confident customers who clearly love what they're wearing?